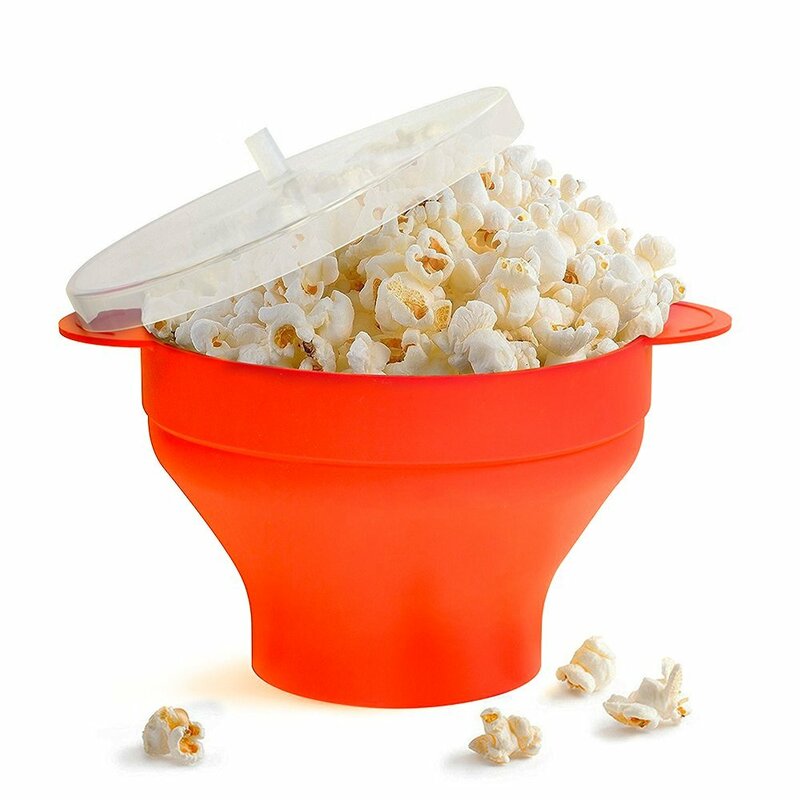 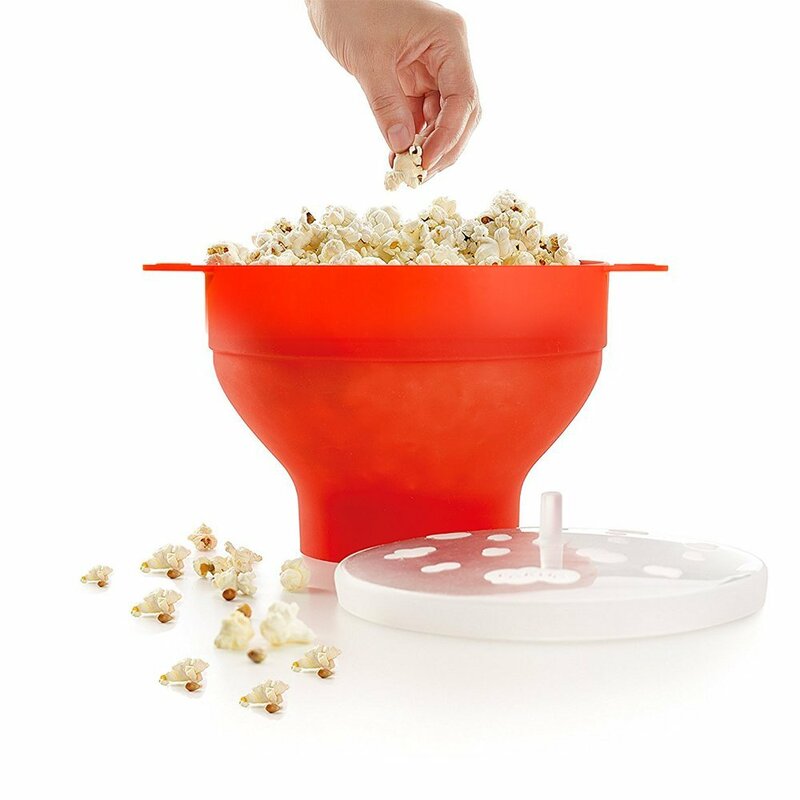 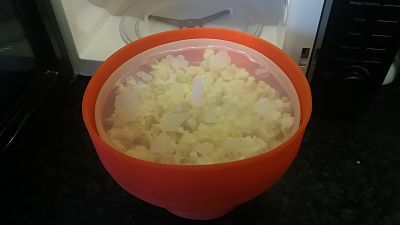 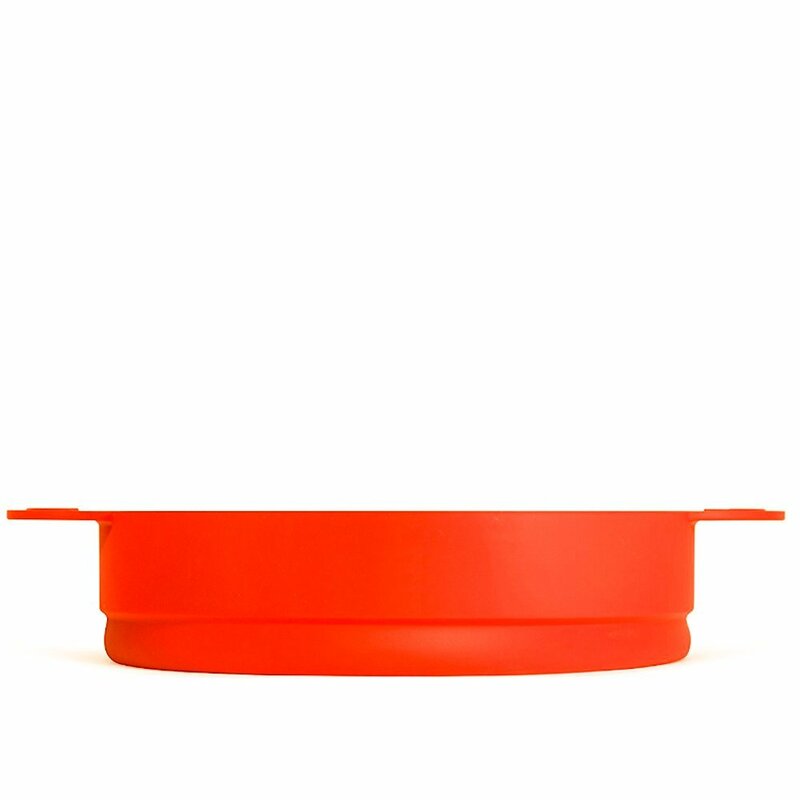 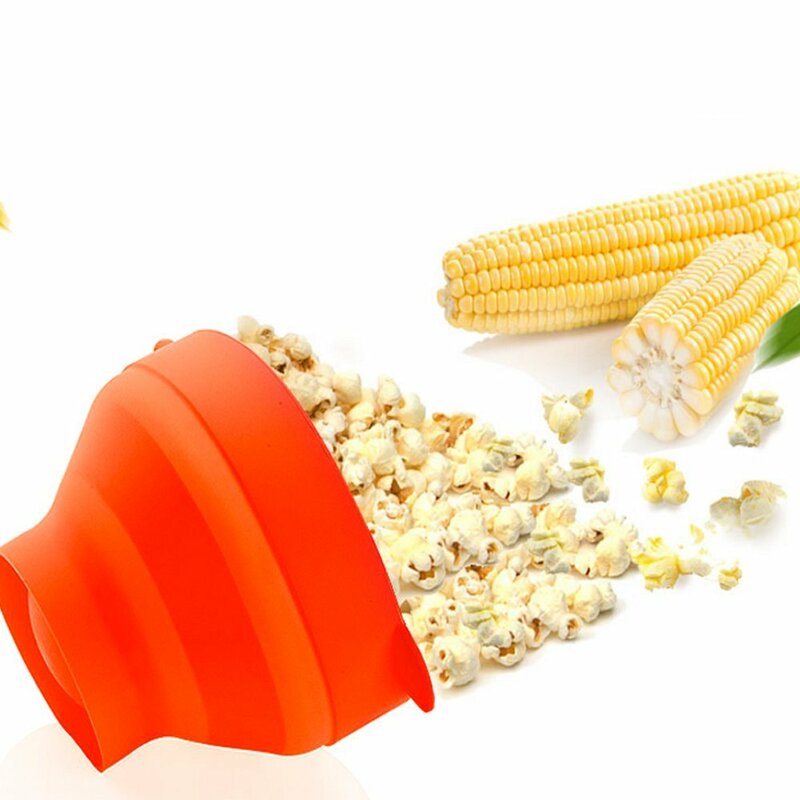 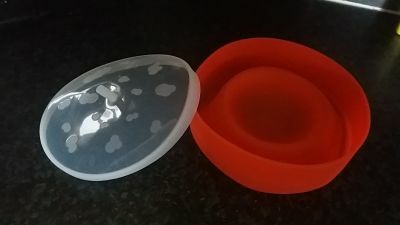 My eleven year old seems to be addicted to popcorn but isn't keen on the shop bought pre made stuff and likes me to make it ,so when i saw this silicone popcorn popper bowl by Allescool , i had to give it ago , it is so simple to use , easily to clean and once the popcorn is made you use the same bowl to eat it from , the bowl is collapsible so storing takes up no space but the bowl itself is really big . 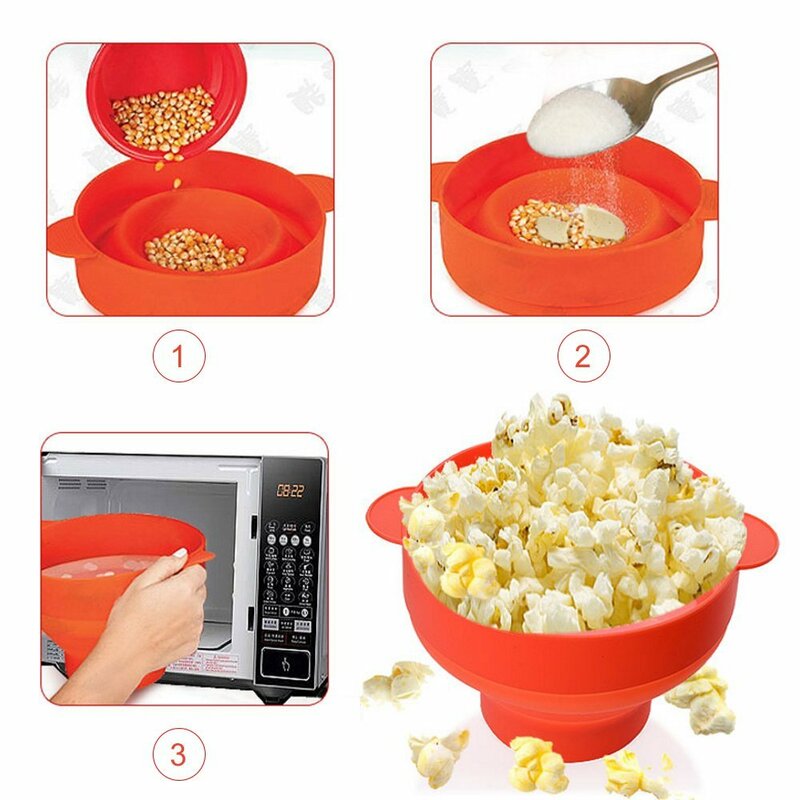 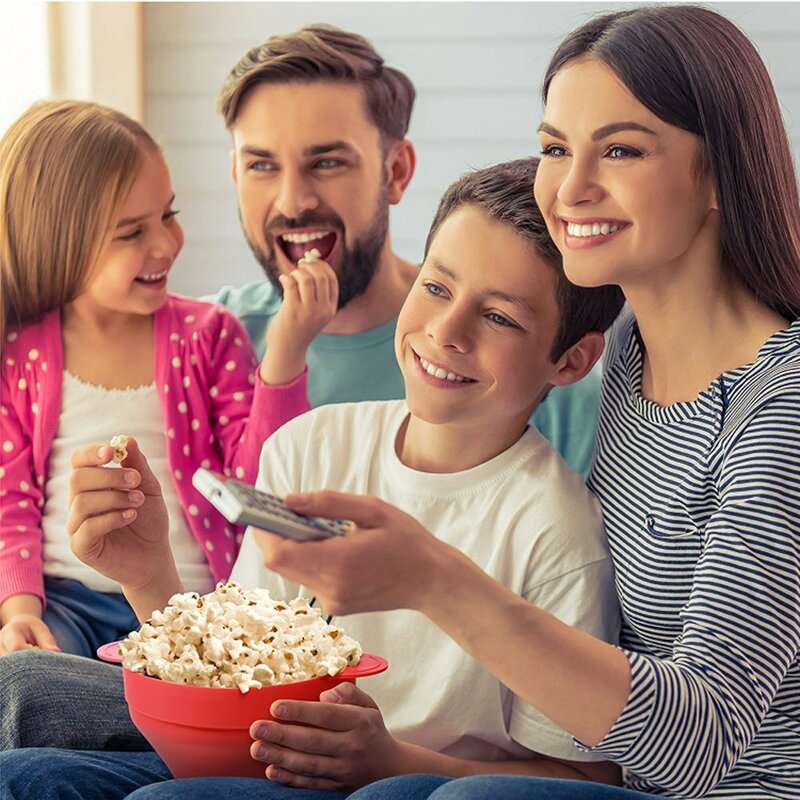 All you have to do is cover the bottom in kernels and cover with the lid and place in the microwave , i found about 2-3 minutes depending on amount of kernels used is enough and cook , that's it , you have popcorn , now you can eat or cover in salt , sugar or be experimental like us and put melted chocolate over and enjoy . 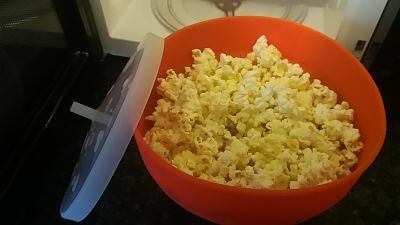 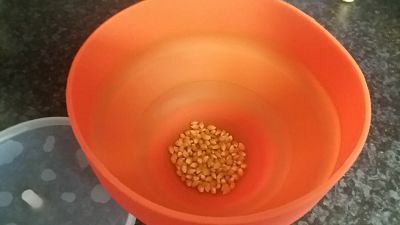 super simple and now my 11 year old is always making it herself , I just have to buy the kernels for her .